Thanks to Dr. Jamie Shutter, East Carolina University Brody School of Medicine, for contributing this case. To contribute a Case of the Week, follow the guidelines on our Case of the Week page. Rabbit Monoclonal Antibodies (RabMAbs�) provide the combined benefits of superior antigen recognition of the rabbit immune system, and the specificity and consistency of a monoclonal antibody (mAb), providing stronger staining than mouse mAbs with no loss in specificity (Am J Clin Pathol 2005;124:295, Pathol Res Pract 2008;204:655). We conducted several comparison studies of our rabbit mAb EP Clones� versus mouse mAbs for the same target on the same tissue sample. Visit www.epitomics.com/compare to see the results of these comparisons. Our expanding product portfolio of EP Clones has over 100 rabbit monoclonal antibodies in 16 different panels including: c-Myc, Cyclin PMS2, MSH6, ERG, PSA and more. To see our full antibody listing, click here. (1) Check out our new CME page, which has a link on the left side of the Home page. (3) We posted an article on our Management Page, Thoughts for the New Year (2012), by Mick Raich, Vachette Pathology, click here. 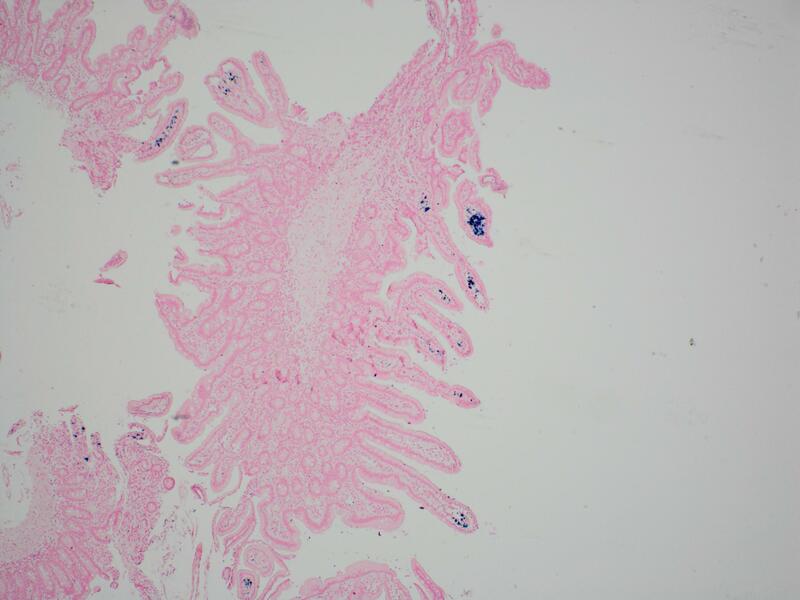 94 year old woman with GI bleed presents for upper and lower endoscopy. 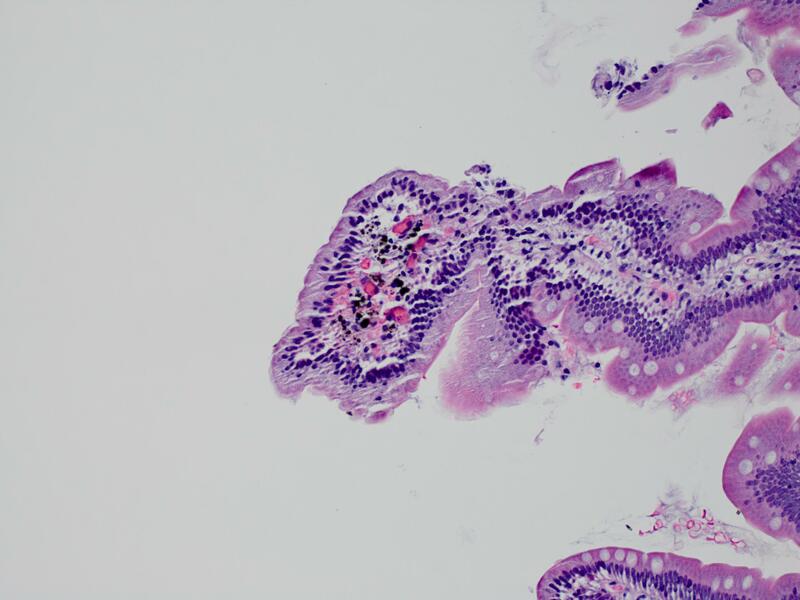 Endoscopist notes �spotty hyperpigmentation throughout duodenum without other associated abnormalities." 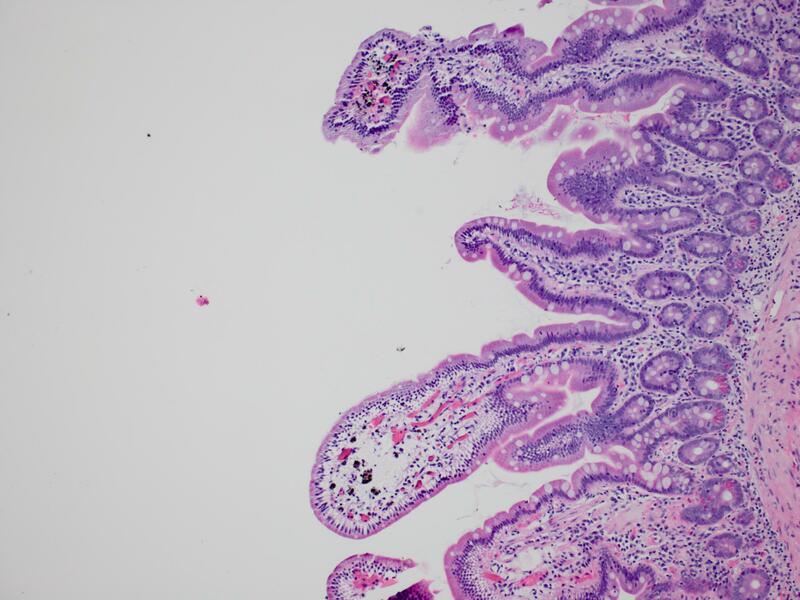 Melanosis duodeni, also known as pseudomelanosis duodeni, is due to brown-black pigment in macrophages in the lamina propria of the proximal duodenum. 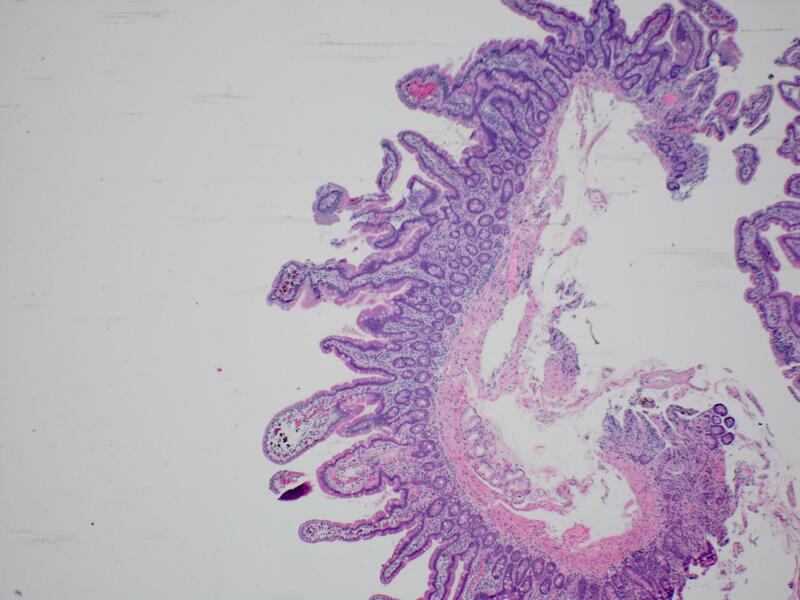 It is often, but not always, identified at endoscopy. It is due to iron or sulfur (J Formos Med Assoc 1995;94:632), and may be associated with oral iron intake, hypertension, diabetes or end stage renal disease (Endoscopy 2008;40:165). It is not associated with laxative abuse (J Clin Gastroenterol 1988;10:127). 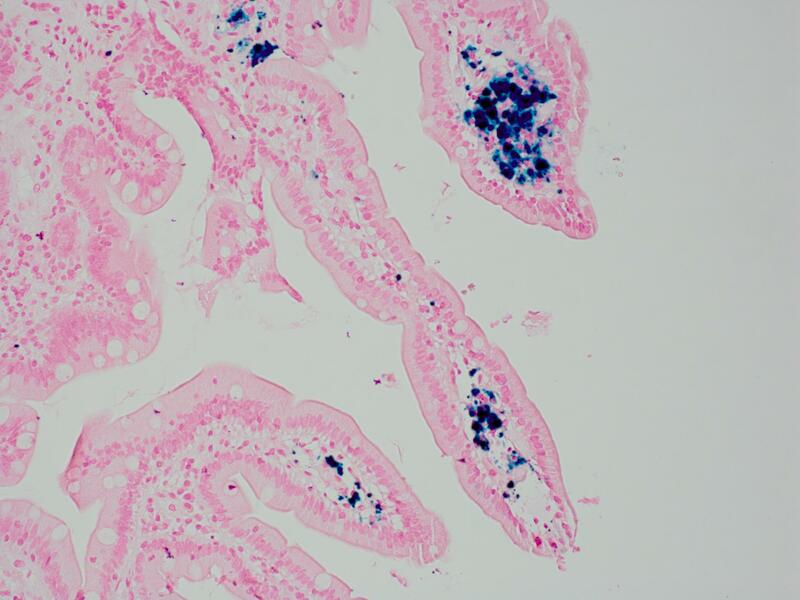 It is also not associated with lipofuscin pigment, which is identified in melanosis coli. Melanosis duodeni has no known clinical significance.